A Scottish MP has said she is hopeful of winning cross-party support for her bid to rule out a No-Deal Brexit. The SNP's Joanna Cherry is planning to table a motion on Monday that would call on the government to revoke Article 50 if no extension can be obtained. Ms Cherry said she had worked closely with some Labour MPs to craft it in a way they could support. Scottish Labour MP Paul Sweeney said the move was a "sensible safeguard". Ms Cherry's motion - which would have to be selected for debate by Commons speaker John Bercow - says if there is no deal by 10 April, an extension should be sought. If that is not granted by the EU council, the government is mandated to put a vote on No-Deal before the House of Commons. If MPs then reject No-Deal, as she would expect, the motion says the government must then revoke Article 50. Her proposal is a redrafting of an option put to MPs on Wednesday during the first round of indicative votes, where it was defeated by 109 votes. 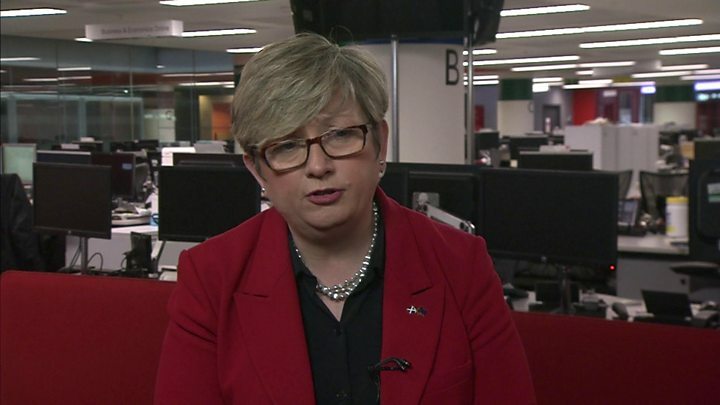 She told the BBC's Sunday Politics Scotland programme: "I've worked very closely with some Labour MPs who didn't feel able to support the way it was worded last time, to craft it into a form that is more palatable for them." She said she hoped the amended motion could win support from a number of Conservative MPs as well as from Labour. She added: "The motion as framed now calls for a public inquiry to be set up within three months of revocation looking at the issue of what Britain's future relationship with the European Union should be and whether a majority could get behind that. "It provides for a further referendum - there could be a further referendum and a further notification under Article 50 but only if it was clear there was a majority for a particular type of future relationship." 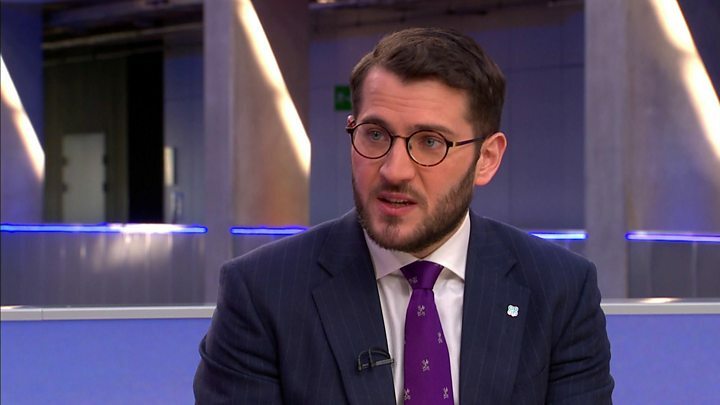 Glasgow North East MP Paul Sweeney said Labour was looking to build a consensus on the way forward, and that some of the compromise options including a customs union and "Common Market 2.0" - the Norway plus option - were a "clear runner". But he added: "We also want to make sure that any deal is subject to a confirmatory public vote." He predicted that the week would see a series of indicative votes, during which some of the options may be combined into "hybrid version" that could be backed by a majority of MPs. He said Joanna Cherry's Article 50 motion was a "sensible safeguard" although he was unable to say whether Labour MPs would be whipped to support it. Scottish Conservative David Duguid said he still hoped the UK would leave the EU on 22 May and that MPs would get another chance to vote on Theresa's May's deal.